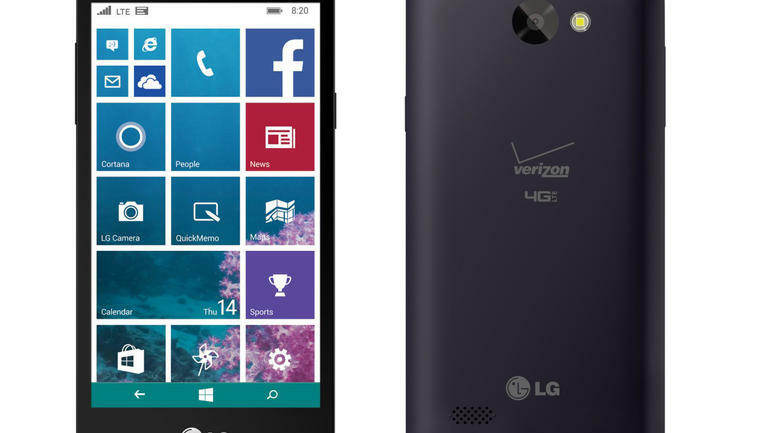 LG has launched its first Windows phone with Verizon’s Advanced Calling 1.0 HD voice capabilities. Many previous LG phones used Google’s Android system, making the new Lancet handset even more of an abnormality for the company. One of the best things about the new phone may be its price. The handset costs just $120 without a contract obligation, making it one of the most inexpensive smartphones on the market today. The new LG Lancet handset is now available online and will be available in stores beginning on May 21. The new LG Lancet smartphone is powered by Microsoft’s Windows 8.1 operating system and a 1.2 GHz Quad Core processor. The handset uses a 2100mAh battery that provides roughly 18.5 hours of battery life and comes with 8GB internal storage. 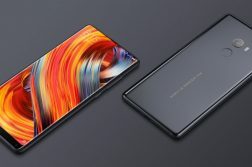 There is also a microSD slot for up to 128 GB of additional space, which is important in this case because only about 4GB of space is likely to be useable. 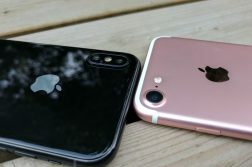 The handset also includes a VGA front-facing camera and an 8-megapixel rear camera that has several various popular functions, including night mode for low-light settings. 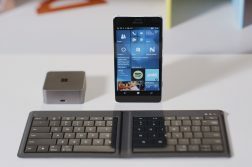 Users can customize their 4.5-inch LCD display and home screen by “pinning” favorite apps and access Cortana Microsoft’s personal assistant software via voice commands. 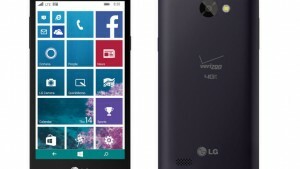 The LG Lancet smartphone is the first Windows smartphone with HD voice calling on Verizon’s network. With the Advanced Calling 1.0 feature, callers will enjoy natural-sounding high-definition conversations. You’ll also get a number of modern LG software features, like double tapping to wake the screen, QuickMemo for notes, Gesture Shot for capturing selfies, Soft Light for selfies, and Live Shot. The LG Lancet handset will cost Verizon Edge customers just $5 a month for 24 months, in addition to the cost of their plan, or you can purchase it outright for $120. For those that prefer to purchase on the two year contract, it is current available for $19.99 on contract. Non-subscribers can bring their phone number to Verizon and get a $100 bill credit for each new smartphone activated on the Edge program.